Let the games and talk continue. Today, CBS announced that their daytime series, The Talk, The Price Is Right, and Let’s Make a Deal will return this fall. Price Is Right had already been renewed for 2018-19 but this is the first official announcement that The Talk and Let’s Make a Deal will also be back. Hosted by Julie Chen, Eve, Sara Gilbert, Sharon Osbourne and Sheryl Underwood, The Talk will kick off its ninth season on Monday, September 10th. Venerable game show The Price Is Right, which is hosted by Drew Carey, will kick off its 47th season on September 17th. The 10th season of the current incarnation of Let’s Make a Deal, which is hosted by Wayne Brady, will also debut on CBS on that date. The network also announced that the new seasons of The Bold and the Beautiful and The Young and the Restless will launch in September. 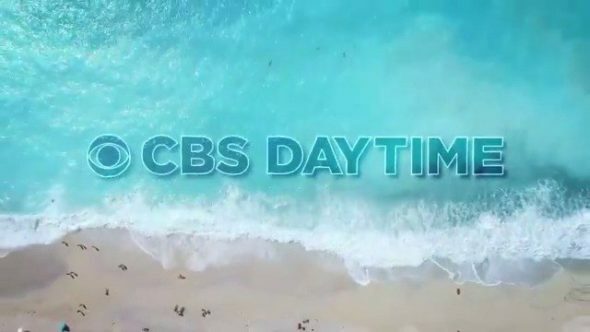 CBS, the #1-rated network in daytime for 31 years, today announced season premiere dates for its entire Daytime Emmy Award-winning schedule for the 2018-2019 season. The full lineup was just recently honored with an industry-leading 20 Daytime Emmy Awards. “CBS Daytime continues to deliver award-winning, fan favorite programming that has led the industry for more than 31 years. The lineup offers an unmatched blend of heart and humor in our talk and game shows and stunning storytelling in our daytime dramas, connecting our audience with compelling programming throughout the year,” said Angelica McDaniel, Executive Vice President, Daytime Programs and Syndicated Program Development, CBS Entertainment and CBS Television Distribution. The ninth season of the Daytime Emmy Award-winning talk show THE TALK debuts Monday, Sept. 10, hosted by Julie Chen, Eve, Sara Gilbert, Sharon Osbourne and Sheryl Underwood. Currently, THE TALK is averaging 2.53 million viewers. The series airs weekdays (2:00 PM, ET/1:00 PM, PT/CT). It is produced by CBS Television Studios. John Redmann and Sara Gilbert are executive producers. Also kicking off on Sept. 17 are the Daytime Emmy Award-winning game shows THE PRICE IS RIGHT, network television’s #1-rated daytime program hosted by Drew Carey, and the longest-running game show in television history, and LET’S MAKE A DEAL, which returns for its milestone 10th season. Network television’s most-watched daytime program, entering in its 47th season, THE PRICE IS RIGHT 1 is averaging 4.73 million viewers, while THE PRICE IS RIGHT 2 is averaging 5.35 million viewers. The series is broadcast weekdays (11:00 AM-12:00 PM, ET/10:00-11:00 AM, PT). The series is produced by FremantleMedia North America. Mike Richards and Jennifer Mullin are executive producers. LET’S MAKE A DEAL, with Daytime Emmy Award-winning host Wayne Brady, is averaging 3.04 million viewers, while LET’S MAKE A DEAL 2 is averaging 3.44 million viewers. The show is broadcast weekdays (check local listings). It is produced by FremantleMedia North America. Mike Richards, Dan Funk and Jennifer Mullin are executive producers. What do you think? Do you watch any or all of these CBS daytime series? Most elderly people (I am elderly) I know and a large number of my younger friends watch these shows. I schedule all of my appointments around these shows—-they are entertaining and they do bring a lot of laughs which we can use since many of us don’t get to do things we could when younger. I hope they stay on forever. I love Wayne and Drew and all of their coworkers. Please keep them on as well as Pat and Vanna on Wheel of Fortune. ******* SPORTS BUCK – HEY – GUESS WHAT – MOTHERS AT HOME ARE A FAR LARGER THAN MEN AT WORK YOU IDIOTS!!!!!! Thanks for ruining my mornings. Bring back Let’s make a deal at 10am. PS: the talk and wendy williams stink. Bring back Let’s make a deal. Put let’s make a deal back on at 10:00 am. I am totally disgusted CBS took Let’s Make a Deal off the air to replace it with the likes of the Wendy Williams show. Let’s Make a Deal was the only show I made a point to watch in the mornings. I will not be tuning in to your channel until you put Let’s Make a Deal back on. It is one of the “clean” family shows which is truly entertaining. I agree, will not be watching until let’s make a deal returns. Can’t stand The Talk. To bad that’s coming back.